SF ROMP is often times able to re-unite babies with their mothers. Sadly, this little squirrel's mother was killed when the tree her nest was in was trimmed. 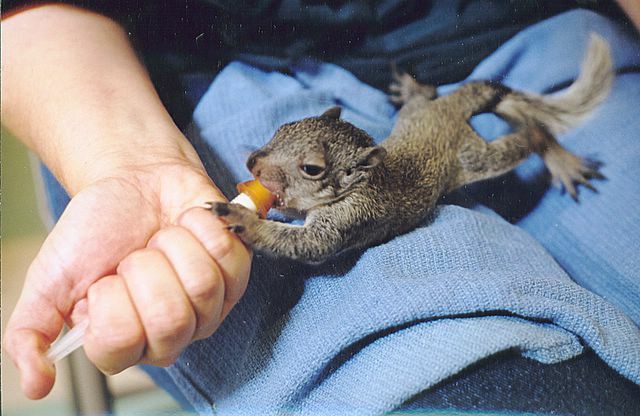 Baby squirrels are born in the spring and autumn. Trimming trees in late summer or better still, in winter, helps save wild lives.